Leprosy in Nepal has been significantly reduced since INF began its work in 1952 but the prevalence of the disease is still two and a half times the global average. This International Leprosy Day [28 January] INF continues in its commitment to eradicate and rehabilitate those affected by the disease. 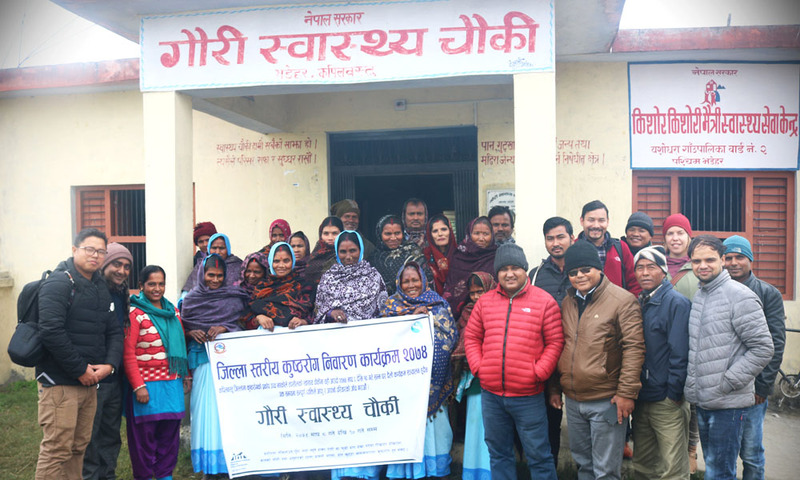 Last week a team of INF staff worked tirelessly across 26 communities in Kapilvastu District to deliver a three-day leprosy elimination campaign. INF staff worked closely with health workers and Female Community Health Volunteers [FCHVs] as they spoke with households about the disease. INF also held advocacy and information sessions with local health posts, local government officials and the media. The leprosy elimination campaign was implemented by INF and supported by the Government of Nepal and the Japanese Sasakawa Memorial Health Foundation. You can read more about INF’s leprosy work here.